Start your life together with her by proposing with this diamond engagement ring for the perfect gift. With a prong set, round cut diamond, weighing approximately 1.00 carats, this is her dream ring. Another fourteen diamonds are used to accent sides of the solitaire mounting, while thirty-two more diamonds adorn the twisted band halfway, weighing another 0.20 carats. All of our brilliant diamonds are near colorless, conflict free, and prong set with a clarity rating of SI1-SI2. 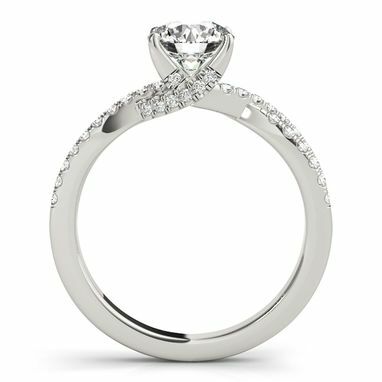 This diamond engagement ring is featured in hypoallergenic and durable Platinum. 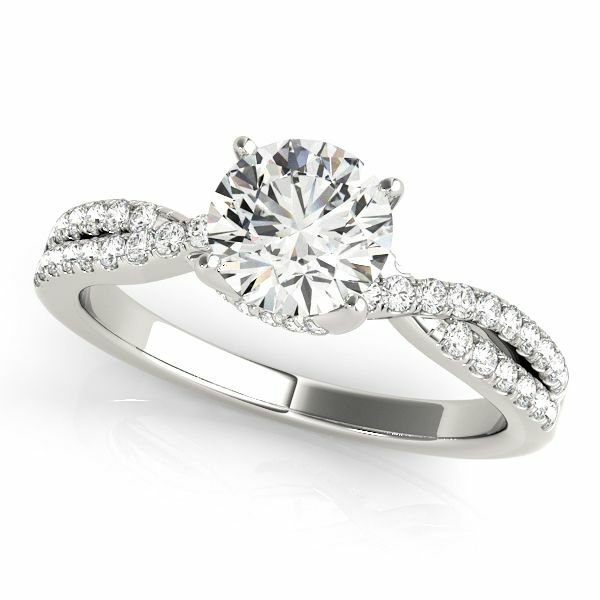 This preset engagement ring is available with a matching band to make for a perfect bridal set. This ring is made in the USA.